Did you know the average American consumes 23.2 quarts of ice cream each year? Crazy! In case you’ve been living under a rock Greek yogurt is all the nutritional buzz. 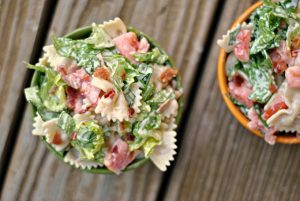 With its thick, creamy consistency and protein-packed stats, there’s not much not to love. And now more than ever, thanks to its increasing popularity, is easy to find Greek yogurt in any local grocer. Or, for the ambitious type, you can make Greek yogurt in a yogurt maker or in a crock pot. I’ve had great success with both methods! Any recipe that calls for heavy whipping cream is bound to be rich and fabulous…and that it was. Greek yogurt ice cream has a tang that reminds me of the original flavor of frozen yogurt at Yoguru in Singapore. That likely means very little to anyone other than myself, but all you need to know is that it was delicious. And unique. In other words, you won’t be disappointed. Combine 1 cup heavy whipping cream, 1 cup whole milk, and 1/2 cup sugar in heavy medium saucepan. Bring mixture to simmer, stirring until sugar dissolves. Whisk 3 large egg yolks and remaining 1/4 cup sugar in large heatproof bowl until blended. Gradually add hot cream mixture to yolk mixture and whisk until blended. Return mixture to saucepan and stir over medium-low heat until custard thickens slightly and coats back of spoon when finger is drawn across and instant-read thermometer inserted into mixture registers 170 F, about 3 minutes (do not boil). Pour custard through strainer set over medium bowl. Place bowl with custard in larger bowl filled halfway with ice and water. Whisk occasionally until custard is almost cool to touch, about 5 minutes. Remove bowl with custard from ice water. Whisk yogurt and pinch of salt into custard. Refrigerate custard until well chilled. Transfer custard to ice cream maker and process according to manufacturer’s instructions. Transfer yogurt ice cream to freezer container. Cover and freeze until ice cream is firm. Can be made 3 days ahead. Keep frozen. Yield: 3 1/2 cups (7 servings; 1/2 cup each). 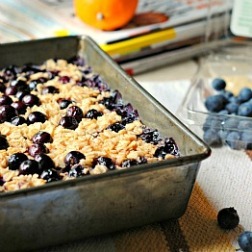 Result: Tangy, rich, and perfectly sweet! And…what a treat! We don’t keep full-fat ice cream in the house so this is quite the indulgence. Next time, I will try making this with all whole milk and/or fat-free half and half as most of the calories come from the heavy whipping cream. With Greek yogurt being all the craze and healthy to boot, it’s fun to see it incorporated into a most unexpected food. Delicious! Enjoy! Question: What’s your favorite flavor of ice cream? I did a store tour with a group of adults and kids the other day and we stopped by the gelato station, where we have TONS of flavors, and a couple of them asked for a sample of the vanilla. I wanted to say.. NOOOO!! When you have all those other options, choosing vanilla is like a sin!! However, I do love vanilla, but my favorite would have to be PB chocolate, or mint chocolate chip. Regarding this recipe, I think it would be hard for me to use an entire cup of my precious (and expensive!) Greek yogurt in an ice cream. Call me cheap, but I think I’d rather eat it by itself. At twice the cost of regular yogurt, I want to taste it, and only it! 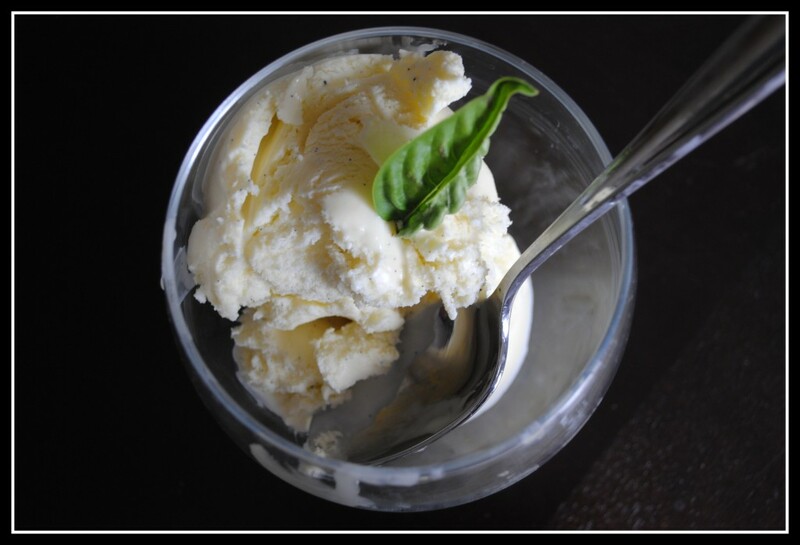 Delicious Ice cream…love the fact that you added yogurt in it..Perfect dessert to enjoy in summer..
23 quarts??? One person? Omg… I seriously wouldn’t have guessed that much! However, my boss is obsessed with ice cream and even late night snacks on it (yes, he has issues), so he’s probably making up for my being under the average! This looks wonderful and I love the tart frozen yogurt I get at a place called lemonberry by my house…adding egg yolk is what helps keep it creamy and rich. yum…time to get out that ice cream maker again! Oh and I am currently doing a giveaway for some cereal and a cool pedometer and ipod/smartphone arm band…come and check it out! This sounds awesome. I’ve never made ice cream with egg yolks or Greek yogurt, so this would be totally new for me! While on vacation, we had ice cream every night – and I loved it. My favorite flavors are Coffee-oreo, anything mocha and coffee. I also love a good mint chocolate chip. I’ve made frozen yogurt with greek yogurt but never ice cream – what a great idea! That sounds yummy! I made some frozen yogurt you would probably enjoy….1 quart Greek Yogurt (full fat if you can find it), 1 cup sugar, 2-3 tsp vanilla extract (or vanilla bean paste, or a vanilla bean–whatever floats your boat). Combine and refrigerate until well-chilled. Put in ice cream maker according to manufacturers instructions (mine was done long before the time was up…it gets much firmer the longer you do it). As for favorite ice cream flavor–hands down cake batter! Had some this week and it was ah-mazing! Ok….I think I need to get an ice cream maker just for this recipe. YUM! 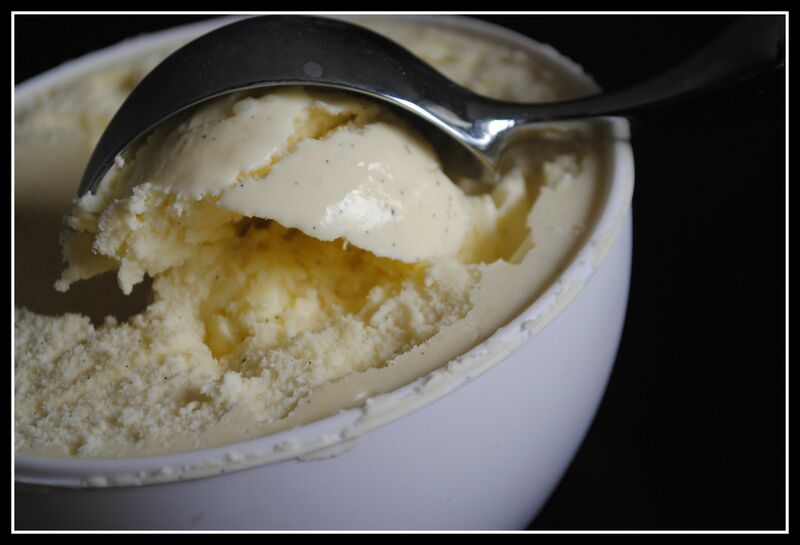 When its good quality, vanilla bean ice cream is probably my all time favorite. Im simple that way. Plus, its flippin delicious. Oh wow! What can I say! I wish I could go straight home right now and make this. Um..so what if it’s only 8:40 am. haha. I love that you used Greek yogurt. And yes, can it please be Friday already?? Yum what a unique ice cream recipe! I love cookies and cream ice cream… Especially if it’s oreo cookies ;). Not the healthiest but true! Yum! I have been using my ice cream maker for lots of fun treats lately! I need to pull my icecream maker out – stat! Looks delicious Nicole – perfect for these hot temps! 23.2 quarts?!! Wow someone must be eating mine. I’d put myself at 3 quarts max for a year put 1 might be more realistic. I love ice cream, preferably frozen yogurt, but it’s definitely a “treat” and now a regular indulgence. This sounds awesome. There’s this cute little place in Philly called Yogorino that has to die for FroYo. 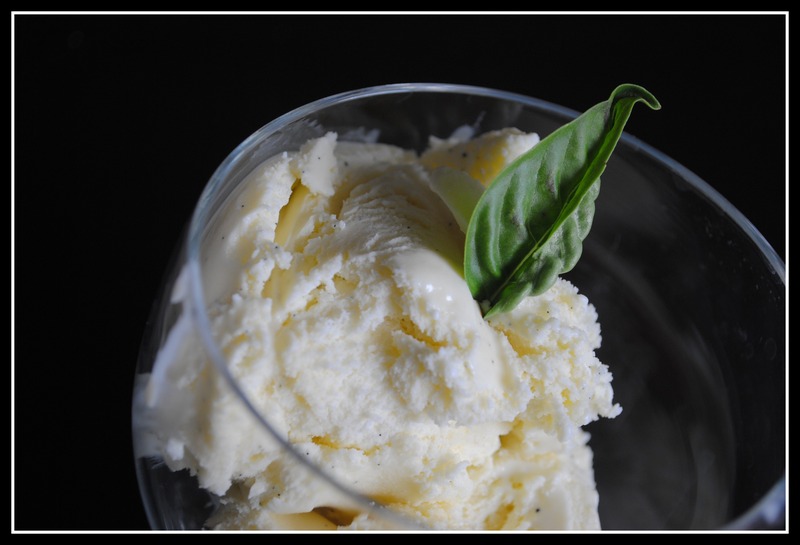 It comes in one flavor, this vanilla, slightly tart ice cream that reminds me of cheesecake. So good! I love the tartness of it, which is why this sounds so good to me. Curious to see how it’d be with half and half! This recipe looks awesome. I want to try to adapt it as you suggest. Do you use an online tool to calculate the nutrition information? I do, yep. Daily Plate. Thanks Nicole. Hopefully I can figure this out. The first result was 1,664 calories per serving. Yikes! I always verify the products in Daily Plate with the nutrition label. I go through and look at each ingredient and the totals to see if they make sense. It is time consuming, but it gets much easier with practice. Knowing “what to look for” helps, too. 🙂 Good luck! Nicole, Thank you! I did figure it out, the modifications you suggested saved a ton of calories, and it still tastes great!